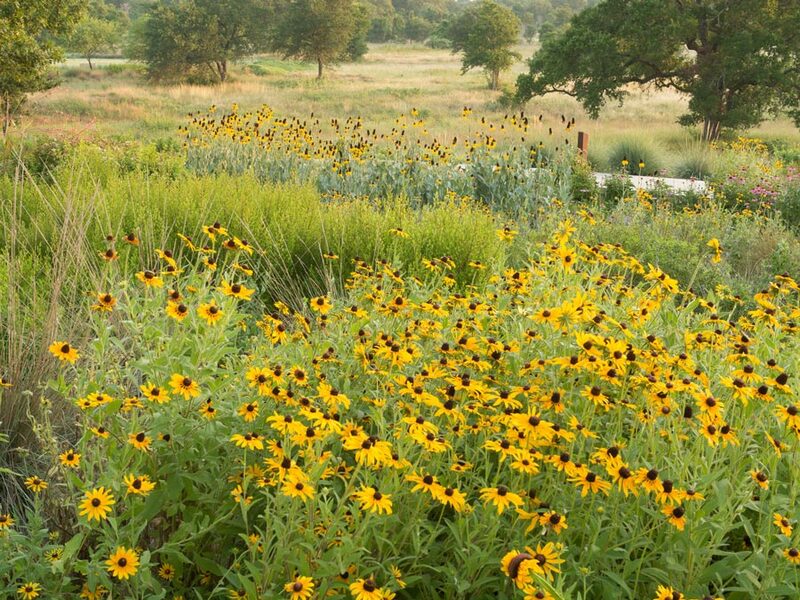 A mixture of native grasses that requires less maintenance to produce a lush lawn than a traditional turfgrass used in the South has been developed by a University of Texas at Austin ecologist and licensed to a sod producer. 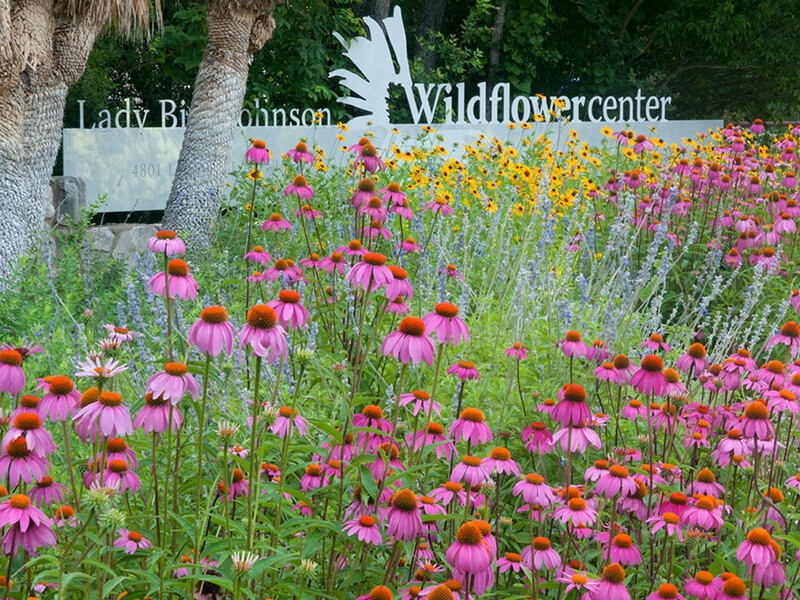 Known as Habiturf™, the native lawn mix was developed by the Ecosystem Design Group of the university’s Lady Bird Johnson Wildflower Center. The university has given a 10-year, nonexclusive license for Habiturf to Bladerunner Farms of Poteet, Texas. Mark Simmons, Ecosystem Design Group (EDG) director, began studying the turfgrass alternative in 2007. He did so out of concern homeowners in the Southwest and elsewhere were abandoning lawns because certain grass varieties can be resource-intensive. Commercial and private lawns in the U.S. currently use more water, fertilizers and chemicals than any single agricultural crop. Habiturf uses a combination of grasses that occur naturally in Texas and Midwestern states where prairies once were common. It is expected to become available as sod in spring 2014. In research published in 2011, the EDG showed that a combination of buffalograss and six other native grass species could produce a uniform carpet of lawn that stayed 20 percent thicker into the summer than bermudagrass (a nonnative species commonly used as a monoculture in the South). The thicker native grass mixture also developed half as many dandelions in the study as bermudagrass and buffalograss. A healthy Habiturf lawn should thus require less herbicide to maintain. “Once a native grass system is established, it is self-maintaining compared to many traditional lawn species,” Simmons said. The improved performance reflects what Simmons has found in studying grasslands on three continents: Different grass species perform different biological roles when combined, assisting one another to thrive. The licensed Habiturf sod will incorporate at least three of the best-performing grass species from the 2011 study published in Ecological Engineering: buffalograss, curly mesquite and blue grama. The sod is expected to establish faster than Habiturf that is currently available from seed. The native grass species in Habiturf have evolved to survive drought that is typical in prairies of Texas, Arizona, New Mexico and Oklahoma. As a result, the sod will be able to go dormant and brown, and then recover after winter weather or periods of reduced watering as many municipalities enforce irrigation restrictions. Because of such benefits, Habiturf has been installed on 8 acres of the George W. Bush Presidential Center in Dallas. And it is expected to handle weather conditions in the four states where it will initially be grown. Simmons noted that the resulting lawn would have a “shag pile carpet” effect where the blades of grass fold over on one another. However, homeowners can mow a Habiturf lawn to 2 inches to keep a traditional look.